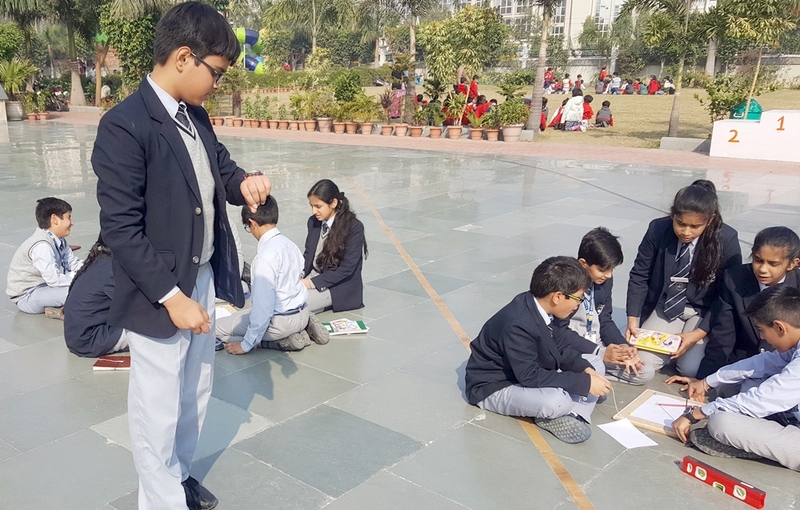 To celebrate the Winter Solstice, students of Sri Venkateshwar International School, Sector-18, Dwarka organized Project Paridhi, a SPACE India flagship project on December 22, 2017. The event took place in the school grounds from 11:00 am to 1:00 pm. 25 students from class VI participated in the event. 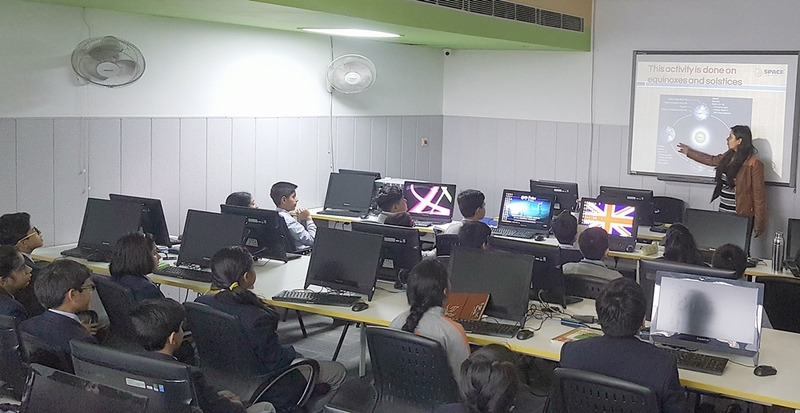 Aryan Kaushal from class VII along with Ms. Heena Bhatia, SPACE Educator administered the event. 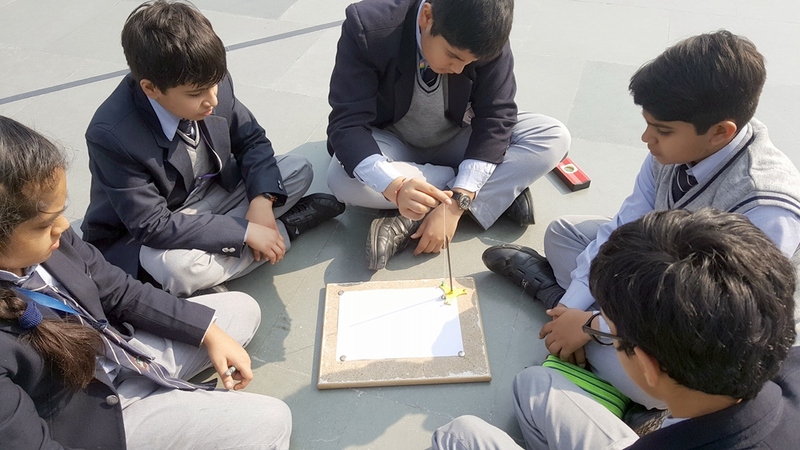 Students were first briefed about the Project Paridhi experiment and then after the demonstration, they went outside to perform the activity. 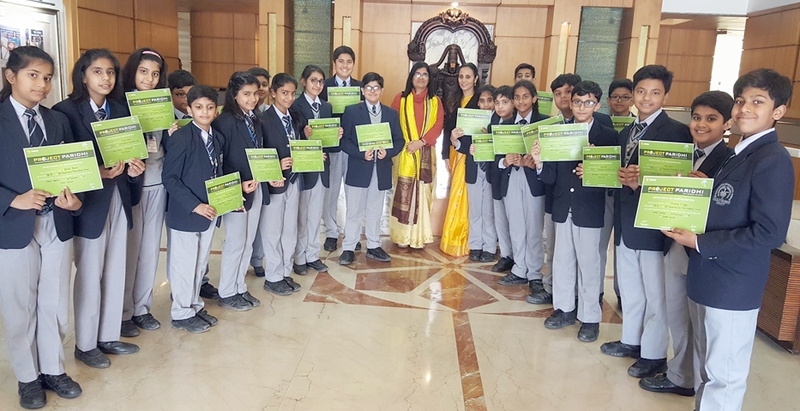 To inspire and motivate the students, certificates were given by the Principal, Ms. Nita Arora and middle wing headmistress Ms. Ritu Vashisht. Project Paridhi can be done on any day of the year, but on days of equinox and solstices the sun is directly overhead on the equator or Tropics of Cancer/Capricorn hence making the calculation easier. The school also celebrates the days of solstice and equinox and helps the students understand seasons and motion of the Earth. Project Paridhi is a ‘hands on’ science activity to measure the Earth. This activity proves science can be best learnt by doing. Sitting outdoors, participants measured shadows casted by the Gnomon (a Greek word for an object whose shadow serves as an indicator of time, especially of the hour of the day), and used trigonometry by which they learnt how simple it is to deduce the circumference of the Earth from the measurement of sun shadows. The experiment also holds novelty as Greek Astronomer Eratosthenes, the first person who measured the size of the Earth using the same method about 3000 years ago. Participants replicated the activity and also enjoyed learning about and celebrating Winter Solstice with fun science activities. In the past, more than 12, 000 students as well as general public from different parts of India as well as the world have participated in this project and calculated the Earth’s circumference up to 99% accuracy.